I think almost all of Canada was under the ice including Vancouver. The only place in Canada as far as I know that escaped the ice sheet was Haida Gwaii. The thought of huge glaciers calving icebergs into the Burrard Inlet and the Strait of Georgia is a scary thought. I bet the climate here would have been currently like the coast of Northern Greenland. Most of the Yukon was ice-free during the ice age. Same goes for neighbouring Alaska. The rest of Canada was under ice (except for a few Islands like Haida Gwaii). It's actually pretty darn fascinating when you look at the Glacial map of the Northeast and compare it to todays climate/weather patterns. Lets use this past winter for example... The way the Long Island sound was Icing over, the way there were Mini Ice Bergs in the Rhode Island Sound, Nantucket Bay, Cape Cod Bay, ect. The way the snow cover was mostly north of Southern NJ. It's as if the pattern of the climate we know today is following the way the Ice Sheet was. Even how NWNJ is included in the Glacial area. I guess what I'm saying is, I can picture how it was during the Ice Age and who was getting the snow, arctic air, and Icy waters. Seeing Long Island sound Ice over was not something I ever saw in my lifetime. That was pretty impressive and sure enough they are under the Glacial area as well. It looks like PMIP3 is out. 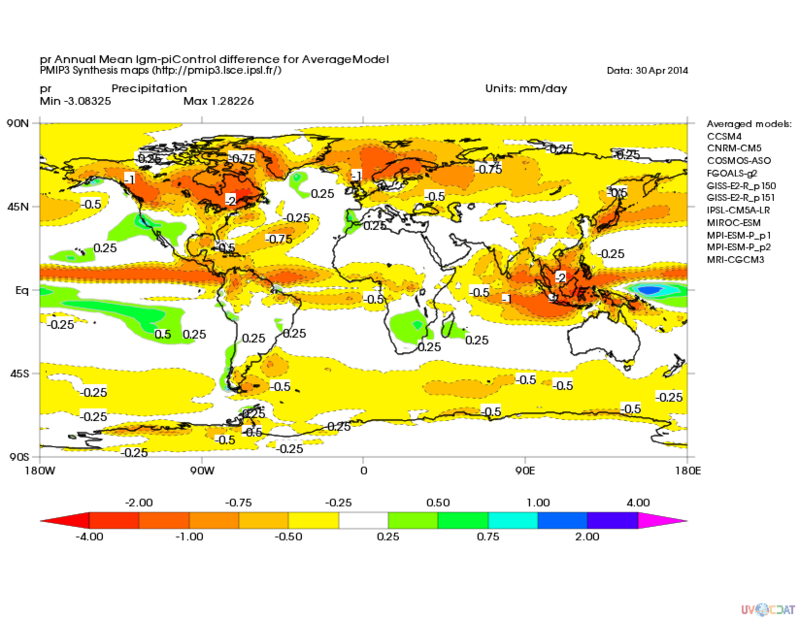 It shows that ice age conditions in much of the U.S. were colder and drier than previously modeled. I think it clearly shows the climate fail of North America. 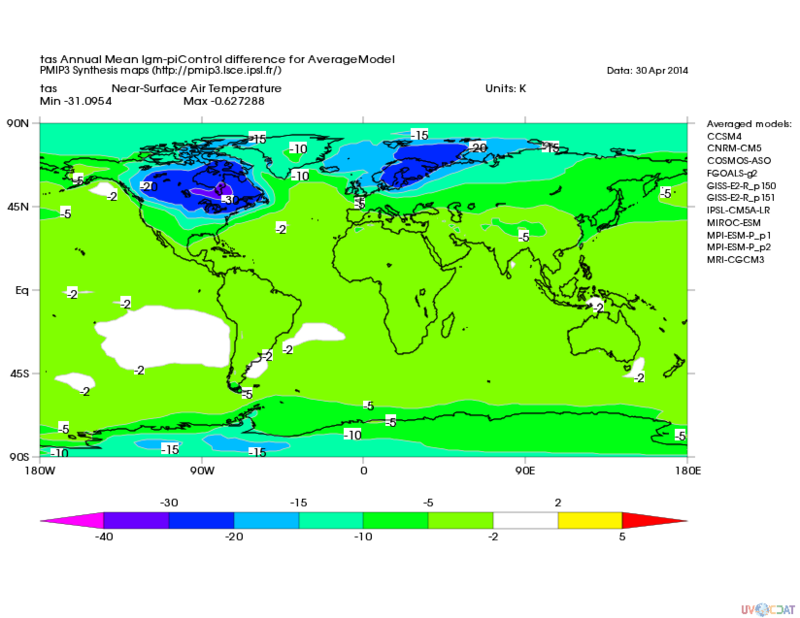 Even in the Ice Age by far the coldest part of the planet right up there in eastern North America.